It is amazing to know that Rob Fowler and Sharon Sexton had never sung together, before meeting on the first day of rehearsals for Jim Steinman’s Bat out of Hell in 2016. It really seems they have done this for a long time: their chemistry is palpable. 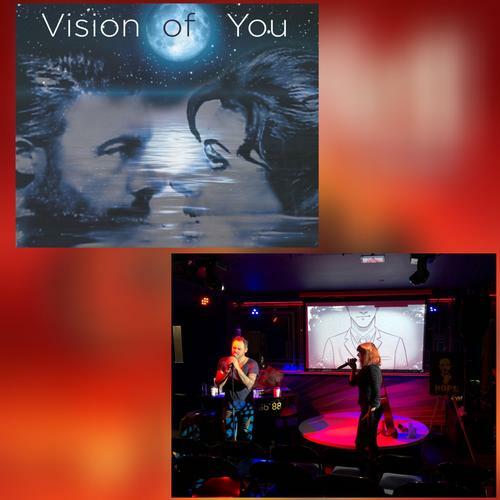 Falco and Sloane, the two characters they played in the musical, inspired the duet album “Vision of you” which contains 11 tracks. “Vision of you – Live in Concert” brings the album live for some nights of good music. The show talks about love from the beginning to the end: love that is growing, love consumed by time and stress, love and regrets. Through a journey of songs and storytelling (with the voices of Georgia Carling, Katherine Hare, Jordan Luke Gage and Patrick Sullivan) and plenty of references to Bat out of Hell, Rob and Sharon’s beautiful voices entertain the audience on a roller-coaster of emotions, under the musical direction of Steve Corley. Erin Ong's beautiful graphics are projected between songs to tell the story of the two beloved characters: a real prequel to the musical. Always remember us this way closes the concert, while some videos from behind the scenes of Bat out of hell are projected. Check Rob and Sharon’s profile to know about their future performances. You don’t want to miss this night of great music. You can download also the album here.